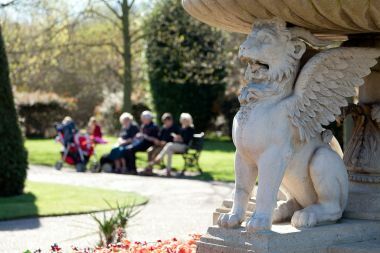 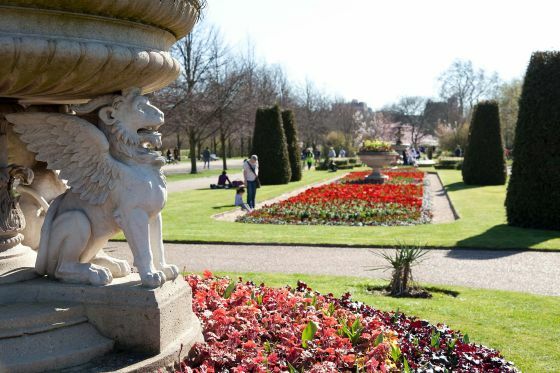 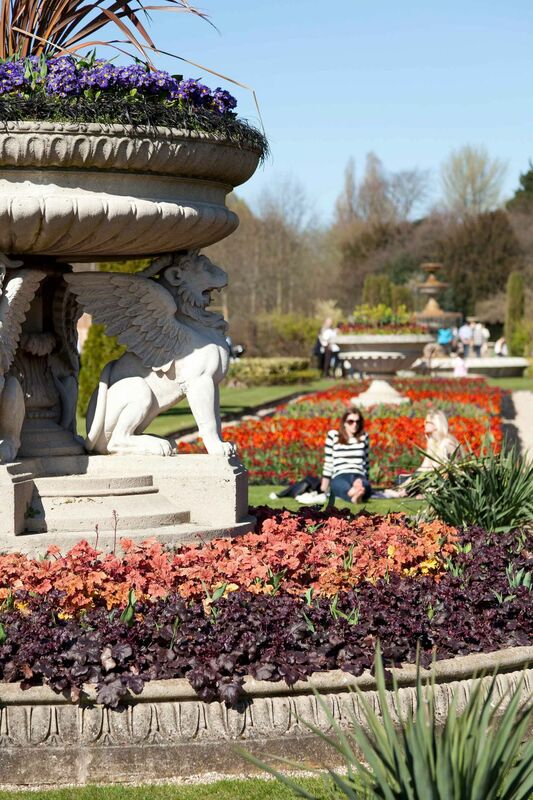 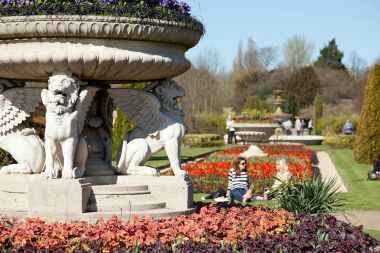 To the left of the main path in the centre of the Avenue Gardens, stands a large circular stone bowl supported by four winged stone lions, known as the Griffin Tazza (often called the Lion Vase). 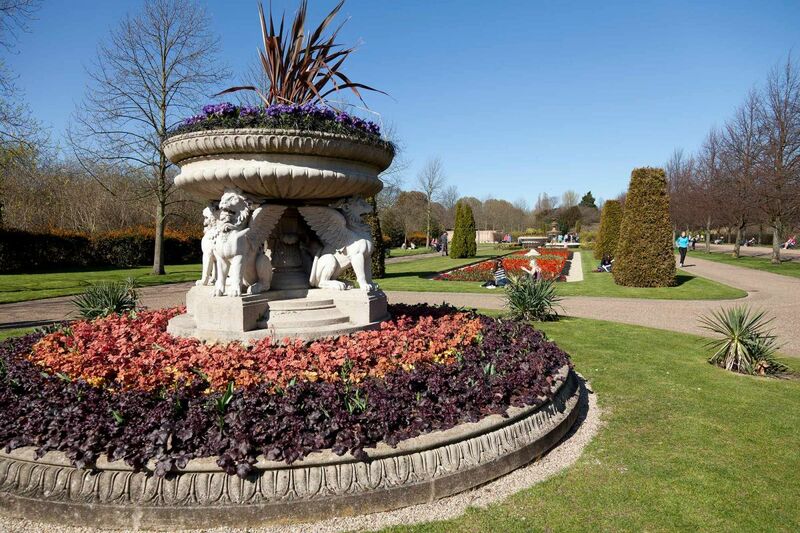 The Griffin Tazza was designed by Austin and Seely and installed in the Gardens by William Andrews Nesfield in 1863. It was later repaired during the restoration of the gardens in 1993-1996 and is one of about 30 stone vases in the Avenue Gardens.